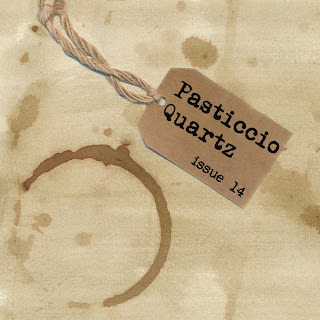 Issue number 14 of PASTICCIO QUARTZ has arrived. Sarah Fishburn and Angela Cartwright are the writers, artists, and masterminds behind this QUality ART Zine. This is definitely one of my most favorite publications out there and I have all 14 issues. Pasticcio is like a professionally published book. While it is filled with art and stories about art and artists, one of the things I love the most is the variety of themes and topics it covers. 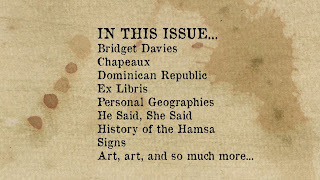 On these 60 pages you will find movie quips, word play, bookplate samples, artist Q & A, an art history lesson, book reviews, recommended links, a travelogue, multiple articles, and features from and about several different artists. And of course there is the Palais d'Art section, which highlights the artwork of more than 20 artists -- all of whom have not appeared in Pasticcio before. I have to send out a thank you to Sarah and Angela for including in this issue the transcript of a conversation I had with the one and only Lisa Hoffman. In He Said, She Said we talk about our vulnerabilities as artists, the importance of art being accessible to all, the joy of painting, using up our art supplies, and more. And I have to send out another, extra-special thank you to Sarah and Angela for including a review of my book, The Pulse of Mixed Media, and both of my workshop DVDs, Easy Mixed Media Surface Techniques and Easy Mixed Media Techniques for the Art Journal. Just one small quote from the review (insert shameless plug here): "Unlike the book, which is filled with plenty of art and the musings of artists on their processes, the two DVDs are packed with the techniques used by the author himself in the construction of his fantastically layered, generally abstract, art. While experienced mixed media artists may be familiar with many of the basics, Mr. Apter really does add his own spin to most of them." You can purchase all 14 issues of Pasticcio here. How did I not know about this publication since I am a true fan of Angela's work? Thank you for sharing. Thank you for sharing the link to buy the art zine - it looks absolutely amazing! This is one of my favorite publications too, and this issue looks fantastic. Thanks for telling us more about it! 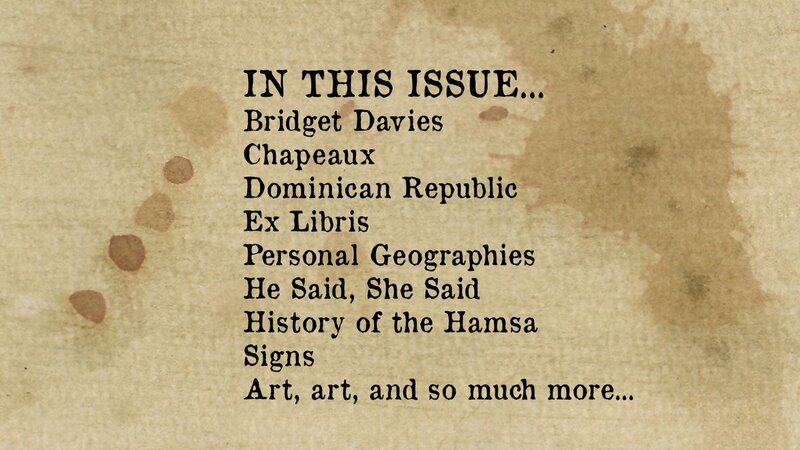 It's a great publication... and lovely to see you get a plug. Oh, Seth, you are shameless!! I was blessed with a GIFT of Pasticcio by a good friend, and I have been savoring it. I'm on episode 7 right now.